Where’s our right to low-energy affordable homes? Government policy on low energy housing is not always easy to understand or predict. Especially when the colour of our government changes. But Governments of all colours have seemed reluctant to ensure that Building Regulations require all homes to be built with the highest standards of energy efficiency. Because of this it has mostly been left to pro-active developers like Baufritz, small charities like Cambridge Carbon Footprint and individuals like Housebuilders Bible author Mark Brinkley, to show what is possible if you set more ambitious and ultimately beneficial targets. 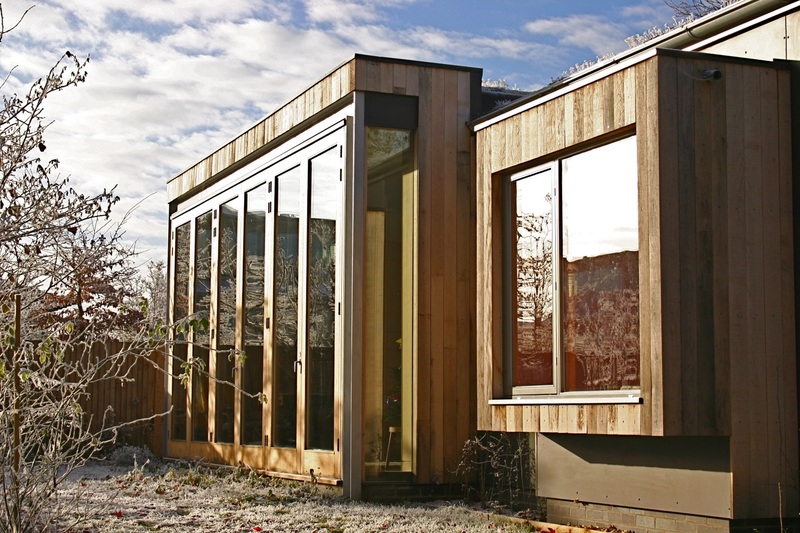 Open Eco Homes 2018 (September 30th and October 6th) has several new-build homes on-show, including Mark Brinkley’s, that go way beyond what the Building Regulations require, and as such deliver to their owners some of the lowest energy bills in the country. They also provide enviably beautiful spaces. Green does not mean worthy. The benefits of cost saving related to low energy use has just been recognised the Welsh Government, which controls its own housing policy separate to the rest of the UK. It has now introduced legislation to encourage lenders to provide larger mortgages to borrowers buying low energy homes. This means that Welsh households will be able to afford more expensive homes if they are more energy efficient, a win-win for buyers, the housing market and the environment. This works because owners will have more household income to spend on a mortgage because they are paying less for energy. The UK Government could learn a lesson from this as they seek to encourage developer, self and community builds through their Right to Build and Community Housing Fund initiatives. Their natural instinct is to leave energy choices to individuals and companies but this is a mistake. Laurence Castle, responsible for implementing Right to Build in South Cambridgeshire, believes that one of the primary motivators of self-builders is the opportunity self-build affords to build the kind of low-energy homes developers rarely do. As fuel prices keep on going up low-energy homes become more popular. Same with renewables, which recently hit record public support levels of 85% in one survey. Policies that help people with their bills and support renewables and low-energy initiatives would be a vote winner. The Right to Build should be matched by a constituted right to low energy affordable homes, so everyone can benefit from lower energy bills and a healthier happier place to live.